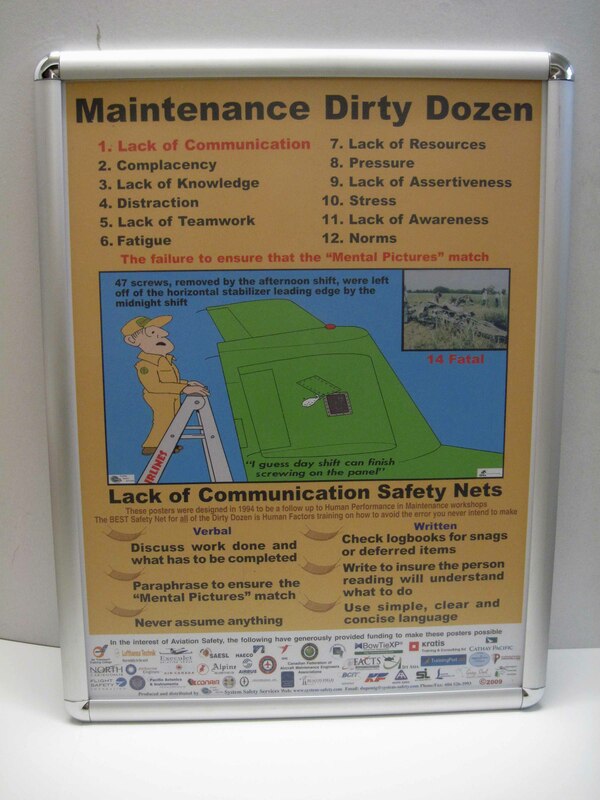 When the Dirty Dozen posters were created, they were created as a follow up to our Human Performance workshops. We know that after our workshop, the average person only retains 20% of the information and as time goes on, that percent number tends to decrease even more. By hanging the Dirty Dozen posters and by changing the poster in the frame every month, you increase the awareness again. Many companies tend to hang all 12 posters at one time and the problem with that is that the posters soon become "Wall Paper" and people tend not to pay attention to them anymore. By changing the posters on a monthly basis, they attract people to them as they are different all the time. 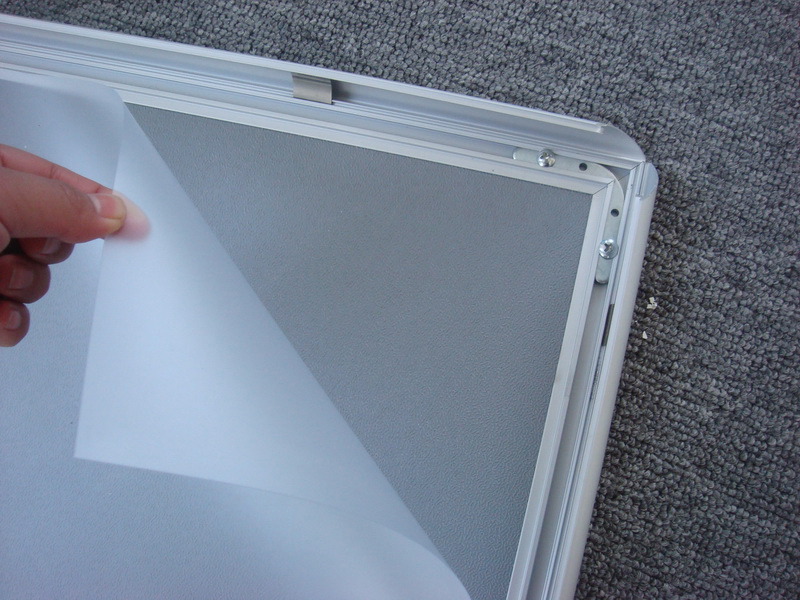 We now have available a silver, 18' × 24' snap frame that will hold all 12 of the Dirty Dozen posters and will open with just a snap at the front which makes changing the posters convenient and easy. The frames also come with a non glare, plastic cover. The frames sell for $35 each but with the purchase of one (or more) sets of posters they are only $25. The frames can be used for many other purposes other the the Dirty Dozen.